The Brick Castle: EasiYo - fresh live home-made yogurt made easy. I was intrigued by EasiYo. I have never made my own yoghurt at home, although I always fancied it. My kids love yoghurt, and I knew we'd have no shortage of taste-testers, so I really looked forward to the delivery. 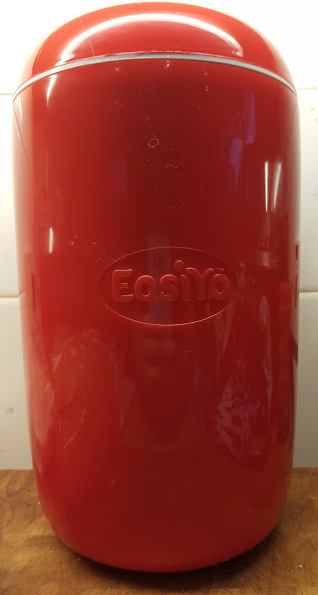 We were sent a new shape EasiYo Yoghurt Maker in Classic Red, 1 kilo Yoghurt Jar, Greek-Style with Coconut Yoghurt Mix (170g) and Strawberries&Cream Yoghurt Mix (230g). We had been busy all day and I had a quick look at the EasiYo and put it down. My 7 year old though had different ideas. 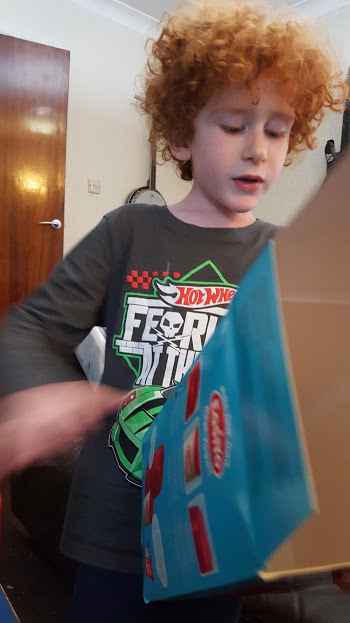 He's a fluent reader and it didn't take him long to check out the instructions on the box and convince me it was "super easy". My son really was right, it couldn't have been simpler. The EasiYo mix contains everything you need for your yoghurt except room temperature water and you mix it by putting it into, and then shaking, the Yoghurt Jar provided. 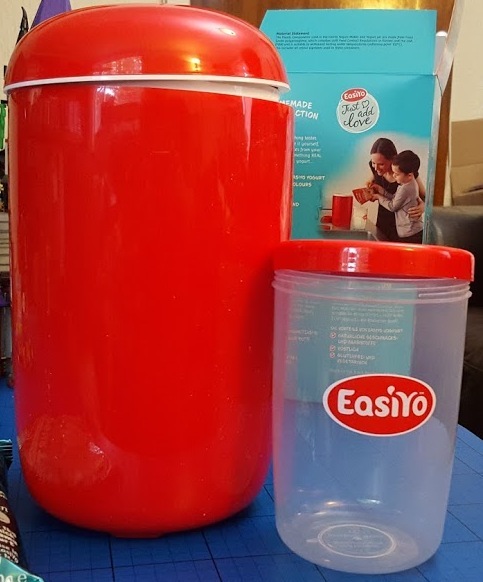 The EasiYo Yoghurt Maker itself is like a giant plastic thermos flask. 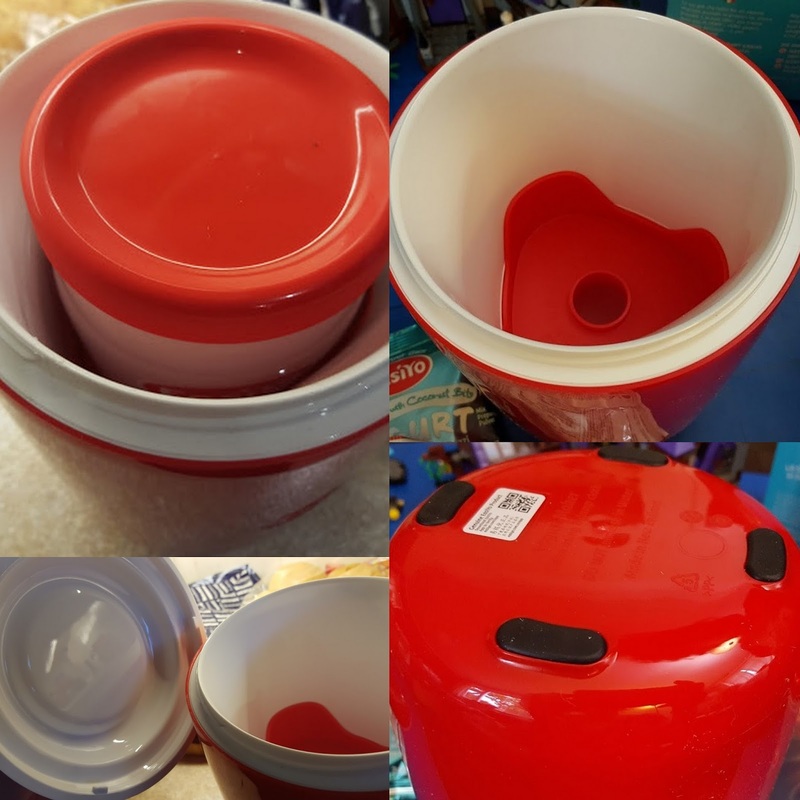 It has a spacer part way down to ensure your pot of yoghurt is correctly placed, a sealing lid and rubber feet so that it's non-slip. 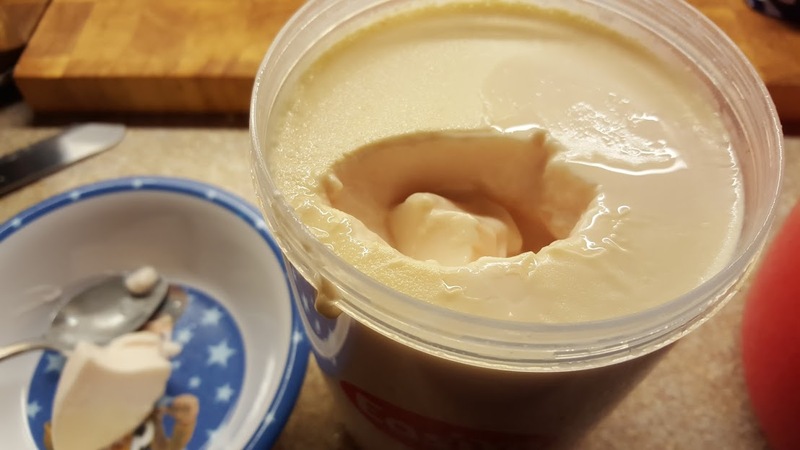 This is all very important because the main part of the yoghurt making involves leaving your mix in a nice warm place for several hours, and that is best achieved by suspending it in boiling hot water to 'awaken' the live ingredients. The instructions tell us to leave our sealed Yoghurt Maker for 8-12 hours or overnight for the yoghurt to set (up to 24 hours is okay). Once set, the jar of yoghurt is taken out of the yoghurt maker and put into the fridge, where it will keep for up to 1 week. It worked exactly as it said! My son was delighted when we took it out the next morning and opened it. We had made our own Strawberries & Cream yoghurt - and it was delicious. 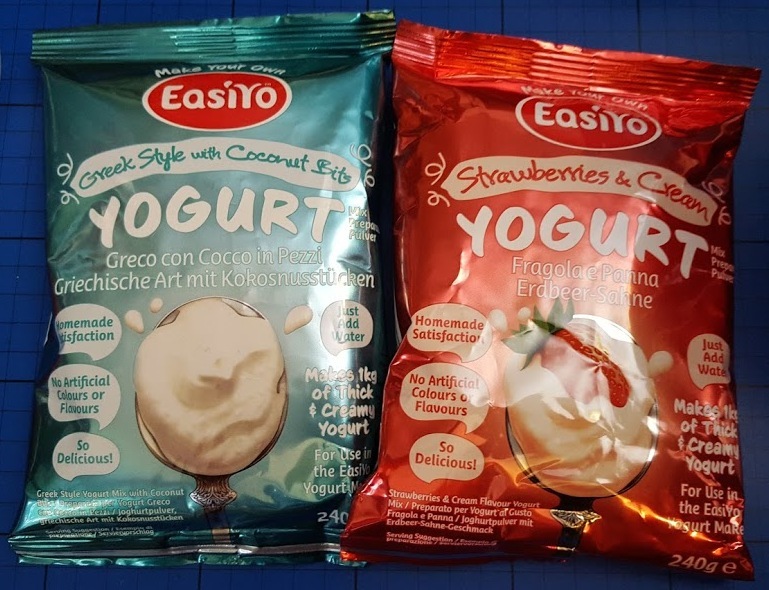 The EasiYo Yoghurt mix contains no artificial ingredients, is vegetarian and gluten free, high in calcium and full of probiotic cultures which are well known to be beneficial to health. Much higher in fact than most supermarket alternatives. What is often a concern with items such as this is ongoing cost. 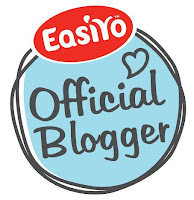 Aside from the fact you can use your own recipes and ingredients anyway, I only agreed to becoming an Ambassador for EasiYo after checking this out. What I found is that the cost of the mix is actually incredibly good, and compares very well to buying fresh yoghurt from the supermarket. Each mix makes 1litre/1kg of yoghurt, and costs vary from around £1.90-£2.80 per sachet. For good quality fresh, live yoghurt, that price is excellent and there are some amazing flavours. 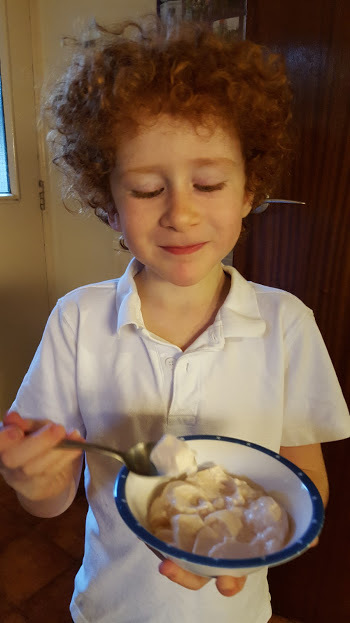 He's very happy with his new role as yoghurt maker, and we have very nearly finished the Strawberries & Cream Yoghurt, so this weekend we'll be making Greek Style with Coconut Bits - it's a lot more adventurous and definitely something I wouldn't even be able to get him to try if he wasn't making it himself. 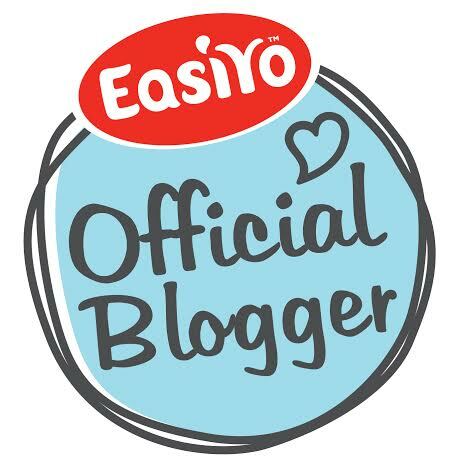 The new shape EasiYo Yoghurt maker costs £15.95, so set up is not expensive and it makes a great gift for a yoghurt lover. Sachets of yoghurt mix are available individually, or in packs of 3 and in bulk for extra savings. The whole package looks good, works incredibly well and we're really impressed with first use. This is definitely not a piece of kitchen equipment that'll be hidden in the cupboard. 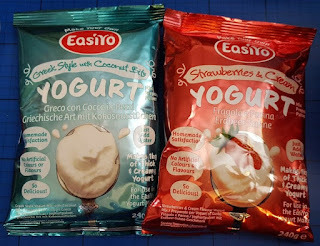 We were sent our EasiYo Yoghurt Maker plus mixes as shown for review. We'll be trying out our Cherry Yogurt today. My team of yogurt tasters are queuing at the fridge door. 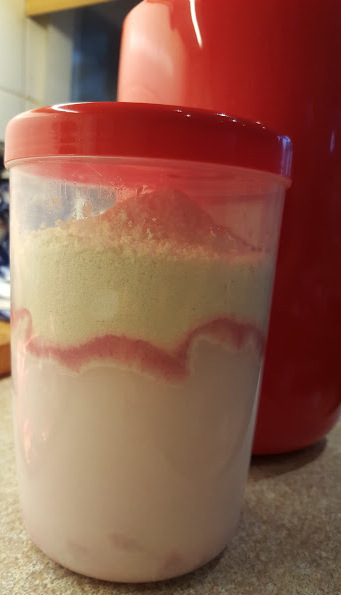 Love the sound of Strawberry and Cream. It is such a great price. It seem easy to make it. Look delicious! We've just made Strawberries and cream yoghurt and it's definitely much tastier than anything I have bought in the supermarket.